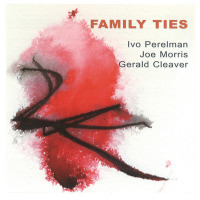 Family Ties is São Paulo-born saxophonist Ivo Perelman's sixteenth release for Leo Records and the sixth named after one of Brazilian novelist Clarice Lispector's intense psychological works of fiction. 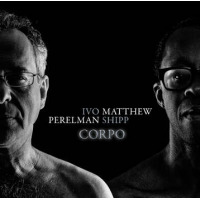 Each of the record's six pieces is similarly titled after a short story from the aforementioned collection, yet the album's designation offers a broader, more salient interpretation when considering the deep rapport shared between Perelman and his current sidemen. 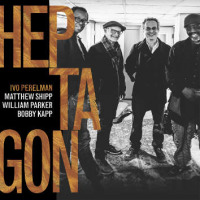 2011's The Hour of the Star (Leo Records) presented the debut of Perelman's powerful all-star quartet with pianist Matthew Shipp, upright bassist Joe Morris and drummer Gerald Cleaver. As the first session in a series planned to document the unit broken into smaller configurations, Family Ties features the core trio navigating a succession of bristling free improvisations without Shipp. Morris and Cleaver underpin Perelman's epic, stream of consciousness cadences with adroit facility and keen invention. 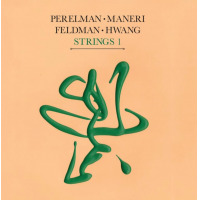 In lieu of extended, individual solos they engage in subtle, conversational dialogues that enable Perelman to take the lead, his serpentine phrasing ebbing through the rhythm section's labyrinthine contours with driving intensity. A master of extended techniques with a robust tone, his supple embouchure and intrepid virtuosity facilitates a wide range of expressionfrom altissimo glissandi and flutter-tongued chromatics to percussive slap-tongue and staccato split-tonesall seamlessly integrated into tortuous motifs. Despite the testimonial fervor of his avant-garde approach, a bluesy sensibility permeates many of the saxophonist's probing excursions, especially the hearty, abstract lyricism at the core of the majestic opus "Love." A few numbers, including "Preciousness" and "The Buffalo," even provide subtle respite. 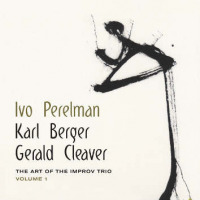 The former tune, a dramatic pointillist tone poem, finds the trio engaged in scuttling three-way discourse, while the later showcases Perelman's sensitive romanticism. 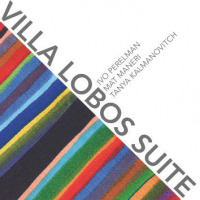 Perelman's penchant for experimenting with mouthpieces to expand the range of his horn takes on a surreal dimension during the brief introduction to the titular opener, performed exclusively on kazoo. Though the saxophonist manages to transpose his idiosyncratic phrasing to the toy instrument, the novelty wears thin upon repeated listens. Thankfully, Perelman limits these atypical detours, relying on his tenor for the majority of the date. With two more recordings already in the can (documenting duets with Cleaver and Shipp respectively), Family Ties follows in the footsteps of The Hour of the Star, setting the stage for a creative renaissance from one of today's most prolific and adventurous tenor saxophonists. Track Listing: Family Ties; The Imitation of the Rose; Love; Preciousness; Mystery in Sao Christovao; The Buffalo. 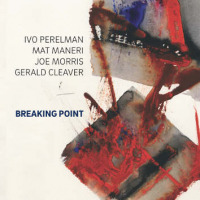 Personnel: Ivo Perelman: tenor saxophone, kazoo, mouthpiece; Joe Morris: bass; Gerald Cleaver: drums.